Price Range £79 - £170Price RangeSimply drag the slider bar to set your price range. 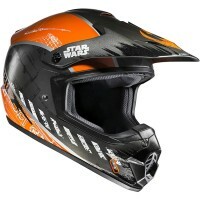 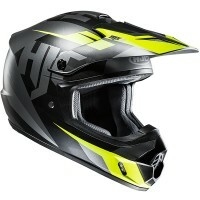 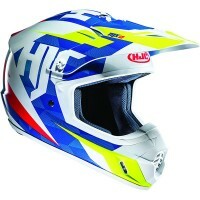 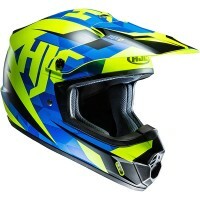 The HJC CS-MX II is an off road helmet with an outer shell made from polycarbonate composite materials. 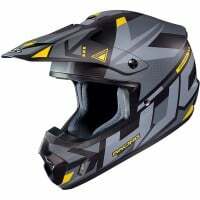 The helmet is lightweight and offers a comfortable fit thanks to the use of advanced CAD technology, the CS-MX II has a large eye port for maximum visibility, increased peripheral vision and superior goggle fit. The interior of the helmet is plush and uses Nylex fabric which is moisture wicking and has an anti-bacterial treatment, the interior is also fully removable and washable.